Drugs can either be prescriptive or illegal stimulants, that are either inhaled, injected, smoked, or consumed by various other ways, causing an uplift in the mood. Drug addiction is a chronic regressive brain disease that causes compulsive drug consumption, leading to harmful consequences for the abusers. The exploitation of drugs can lead to changes in the structure and function of the brain. Prescription drugs are exploited by overconsumption, mostly by people suffering from chronic psychological diseases. Mental illness is an oppressive malady for many. They try just about anything to relieve the torment. Drugs or alcohol temporarily make them feel ‘normal’, like they reminisce feeling in the past. For the rest, it just starts with a gratifying inquisition, which they later use in guiding themselves to cast their own graves. Here are a few reasons explaining the incentive behind drug abuse. 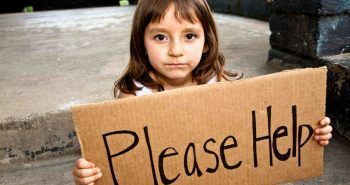 Children in the slums are abused with substance and once hooked, they scrounge for money to obtain more drugs. The craving is so fervent that people are able to manipulate them into executing atrocious crimes. Many rackets are run tantamount to such methods, in order to increase the rookery businesses. This is the disconcerting reality of conditions in India, where people follow such tawdry tricks for extorting money in exchange of a childhood. This is the end, For most. The once experiment, is now the only resort. People once hooked, find it difficult to surrender to their addiction. They cross extents for their abnormal desire, which when not contented, leaves them cognitively impeded. People steal, kill, abuse, cut themselves and take various preposterous actions, just for a pinch of drugs. They constantly desire a feeling of being at ease that they never experienced when sober. This is common between teenagers. Hormonal changes are not easy and are not welcomed with a platter of churros and chocolate. These situations can be difficult to deal with for the child and the parent. Mindlessly, children rebel against their parent’s decisions or advices, and misinterpret their intentions. In order to revenge their parents, they do everything that their parents oppose, like drugs of coarse. Once tried, they get hooked onto them and find it difficult to stop. In extreme cases, children steal money or commit crimes in order to purchase stimulants. To avoid such occurrences, parents must invariably be conscious of their child’s actions and comprehend their psychological demands. There have been reports from Punjab, clearly stating that new born babies are born interminably addicted to drugs. These new borns have a high intolerance if not given stimulants. 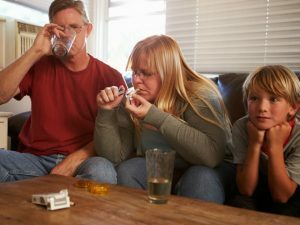 In other cases, children spot their parents consuming drugs and perceive it to be normal. They conclude that since their parents are whiffing on a lungful of ‘potion’, then it must be right. This can only be terminated if parents stop drug use, elucidate the impact to their children and educate them against their use. Drugs are no funny business, they can literally wipe off a generation. When faced by major, life changing failures, some people turn to drugs. Having lost their will to succeed, giving up on their hopes of contentment in life, career or relationships, people succumb in their own world, filled with melancholy and drugs. People must rather face those situations and deal with the consequences. Situations can be difficult, but none should be treated as the denouement of life. There is much more to life that sniffing onto some powder and dying. There are substance of all price ranges, easily available for even children to buy. The government must regulate strict supervision of such trading and abandon its growth. Easy availability and low cost drugs are additional contributors in intensifying poverty and halt a nation’s development. The Narcotic department should trace down dealers and bring drug sales to a standstill in order to maintain a healthy lifestyle for all. In recent times, people have encountered a phase of peppy unscrupulous songs, songs that speak of misogyny, songs that draw people into trying drugs and singers who themselves consume drugs. The new rap culture , which technically consists of zero percentage of creativity and a hundred percent nonsense is swiftly spreading amongst the youth. The only words these songs revolve around are daaru, vodka, party, girls, shots, certain premium brand names and an expose´ of cars. Believing themselves to be inventive geniuses, these few propagandising drug addicts, brainwash the society to consolidate their league and ideologies. What this generation should obligate to acknowledge is practicality and judgement skills. It isn’t the rapper who’s paying the school fees, electricity bills or other expenses. Its your parents, and the last thing they want to see is their child in a Jacuzzi of vodka with girls in branded clothes, having daaru and in line for shots. That’s not a life! Just by the way. There is also a type-2 of this generation, who defend their undertakings by getting their role models to their rescue. Bob Marley, Marilyn Monroe, Elvis Presley, Amy Winehouse, Heath Ledger and many others DIED. Let me assure you, not quite happily. Therefore, your life and consequences are your choice, and you have the choice to select judiciousness. Just give your senses some credit and your brain, a push. You don’t need drugs to be gleeful. Some people brood over their friends and acquaintances using substances and reluctantly admit defeat over their control to resist. They are convinced that since their confidantes haven’t been clenched in handcuffs for their actions, so wont they! For teens, It just starts with the cultural influences or a gist of experiencing the after effects, as they strike as entrancing from a peers’s feedback. While some experiment on themselves, lunatics experiment on others, constraining them for the intake of substances. Children in the slum are quotidian targets of such obnoxious maniacs, leaving them contingent on drugs and begging for more. Escape! Drugs serve as an escape from reality for most. Their disability to cope with situations in life leaves them broken and their ability to differentiate between sane and insane extinct. Guilt, depression, inhibition in expressing, failure, frustration, anxiety and other factors serve as a prepossessing force towards drugs. People suffering from psychological problems are easily magnetised towards drugs, as drugs are a source of easy escape from the difficulty they are facing in regard of ailments. This partial withdrawal from situations and the feeling of being high leaves them addicted and therefore they refuse to function without substance. Teenagers tend to follow the steps of their peers already exposed to drugs. They might despise the effects or the substance themselves, but cannot gain enough courage to refuse the intake. They think that’ll get them popular amongst their peer group but a mere experience leaves them helpless and addicted. In case of adults, the encouragement are derangements in their career or personal lives and the fact that the people introducing them to substances aren’t in jail, yet.